The tube, also known as the London underground, is the essential rapid transit system within London. 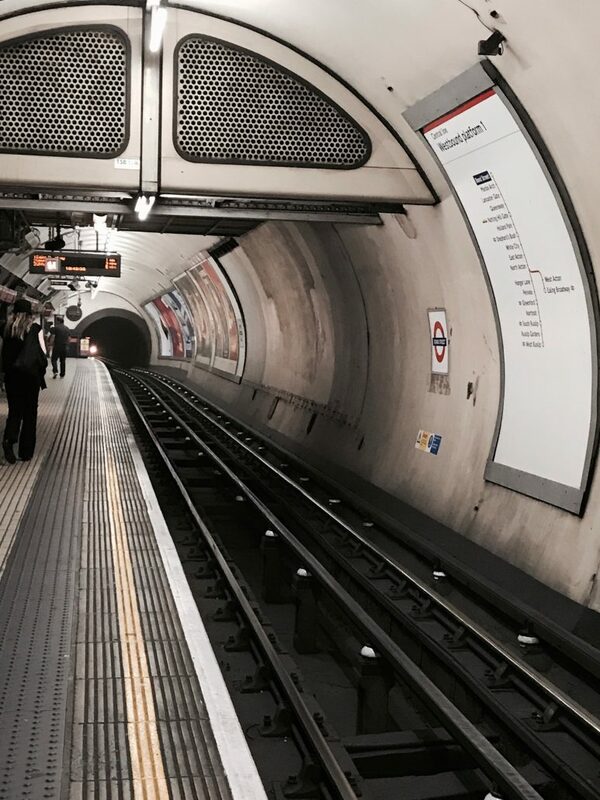 The tube is fast and speedy, allowing you to get from point A to point B throughout your day. The tube is very easy and simple to use, you just need a few tips to help you get started! Buy yourself an oyster card! You can think of an oyster card as a bruin card. You load money onto the card, which allows you to tap and go on transportation systems throughout London. 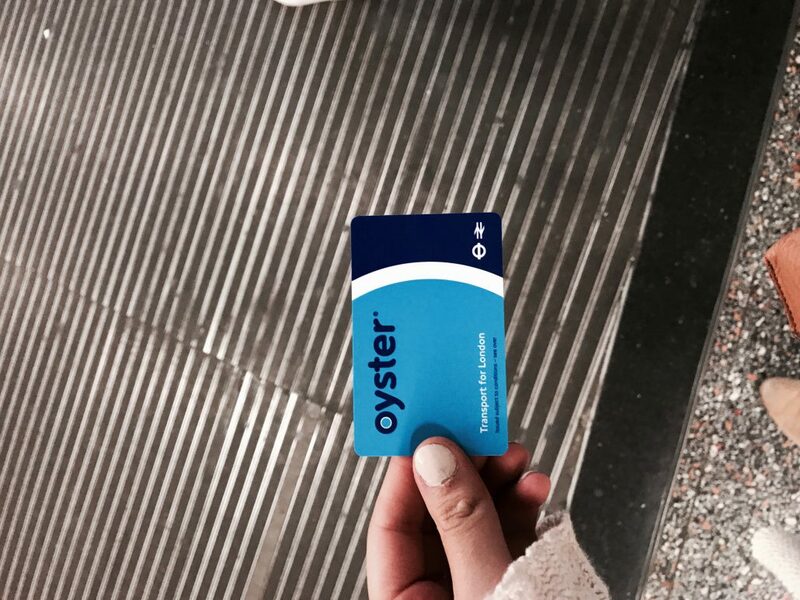 You can purchase oyster cards at tube stations as well as stores all throughout London. Once you buy your oyster card, you load money onto your card. Once you are about to run out of money you “top off”, which means you simply load more money onto your oyster card. Majority of the time when you tap into the tube or bus station, the amount remaining on your card will show on the screen, so you will always know what your balance is. Taking the tube costs £2.40, while the buses cost £1.50. If you ever need to “top off” your card, there are always stations within the underground that allow to do so. 2. 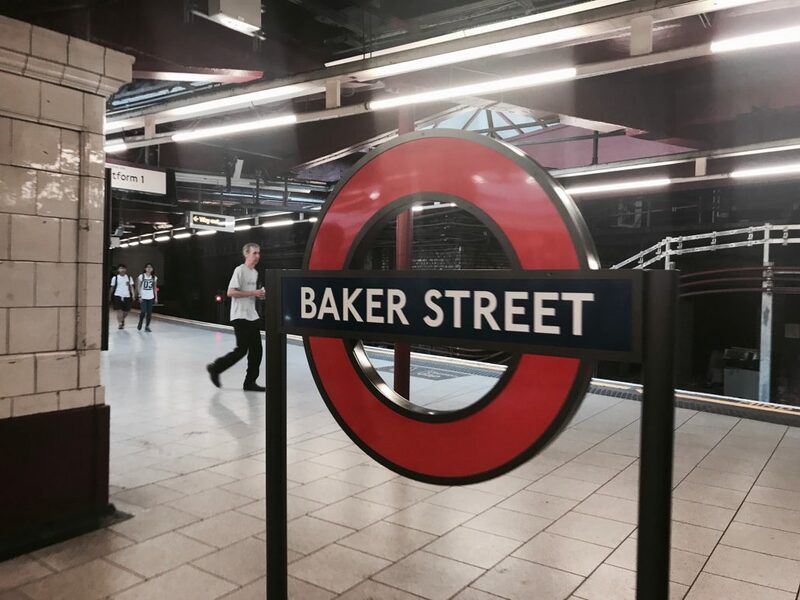 Navigating a tube station is the next step! 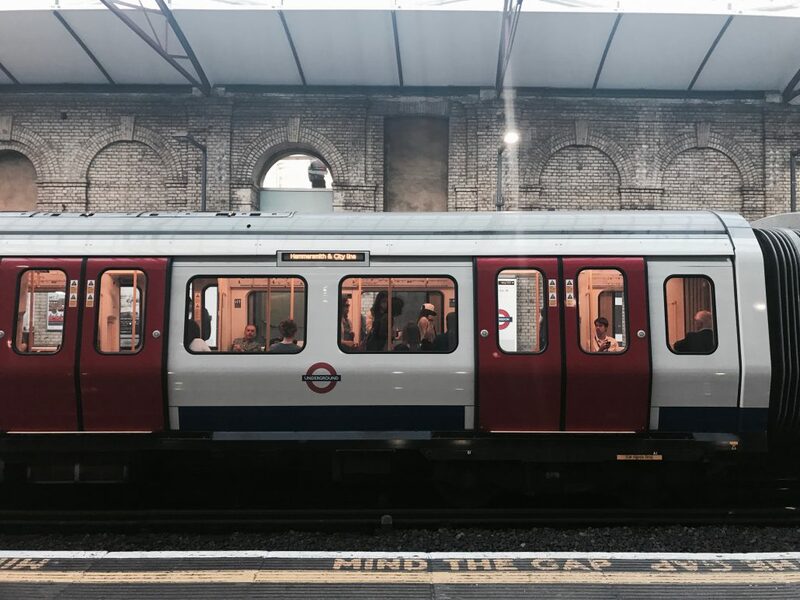 At first it might seem intimidating and overwhelming, but at the end of the trip you will be a true London commuter. When I first started navigating both buses and the tube, I never knew which station to go to, which line to take, or which direction to go. Luckily there is an app called City Mapper where you enter your starting location and end destination and it gives you the cheapest and fastest tube or bus routes to take. Not only that, but City Mapper will explain which bus or tube to take, what direction, and what stop you need to get off at. Throughout our journey our study abroad program group always travelled together, so you are never really alone. There is an alternative to using City Mapper as well, you can always find your way around by asking the workers or daily commuters. 3. Platform signs and directional signs are your best friend! 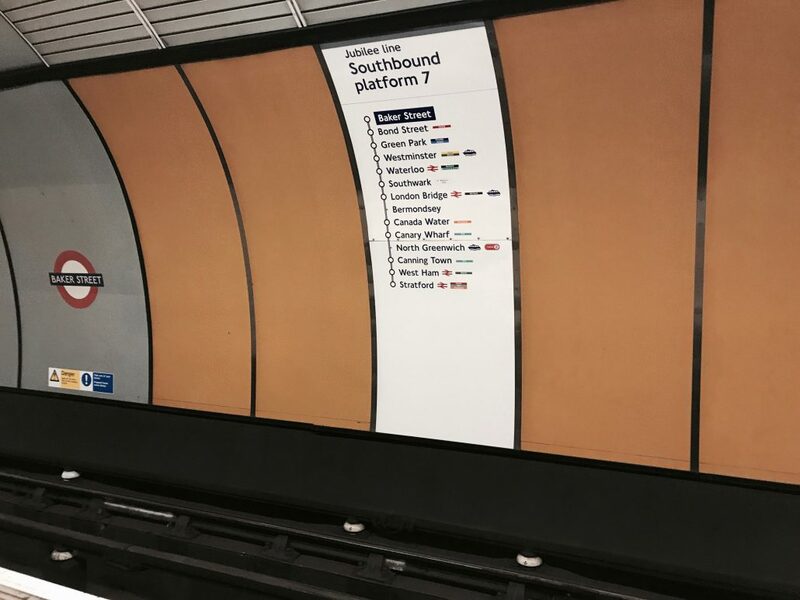 Throughout the station there are multiple signs that explain what line you are taking, what direction you’re going, and what platform your tube will arrive at. Also on that same sign, there will be a line with dots marking each stop that you make. 4. 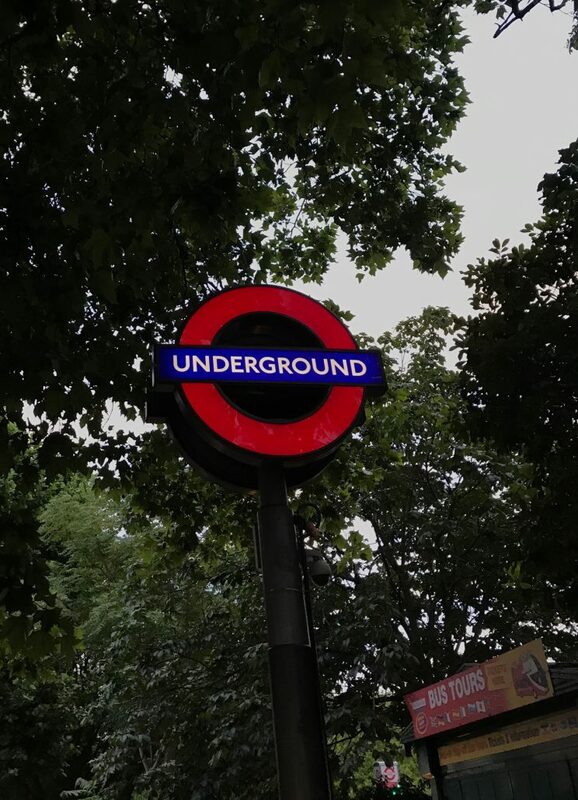 Don’t worry if you miss your tube because there are multiple tubes that will take you to your destination within approximately 3 to 5 minutes. This is good to keep in mind if you are travelling with a bigger group. 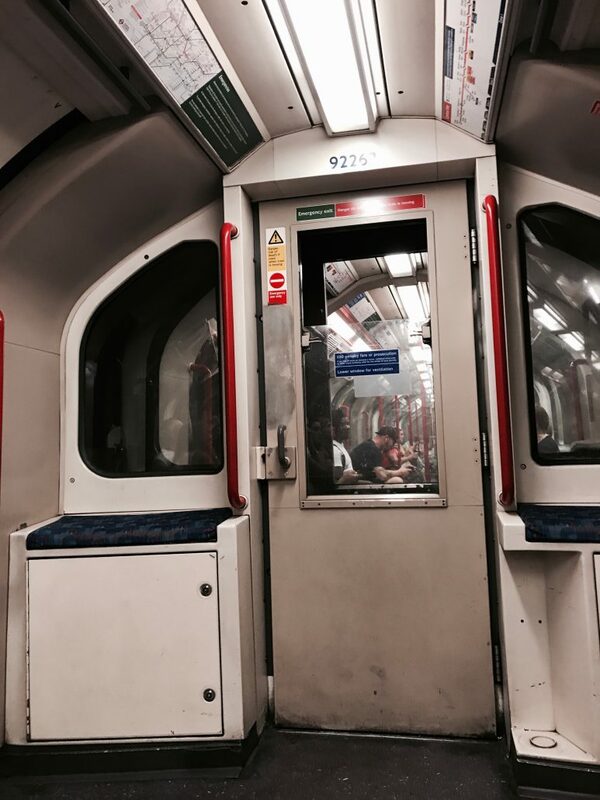 It is safer to wait for a tube instead of running on and leaving people behind. 5. When you enter the tube make sure to sit down or hold on to the nearest handrail because the tube will take off with sudden force. The seats can be very comfortable after a long day of walking so make sure you don’t fall asleep and miss your stop! 6. Last but not least, MIND THE GAP!